FATHER TED HAS once again proudly represented Ireland on the international stage – by being voted in the top 25 best TV show by IMDb users. 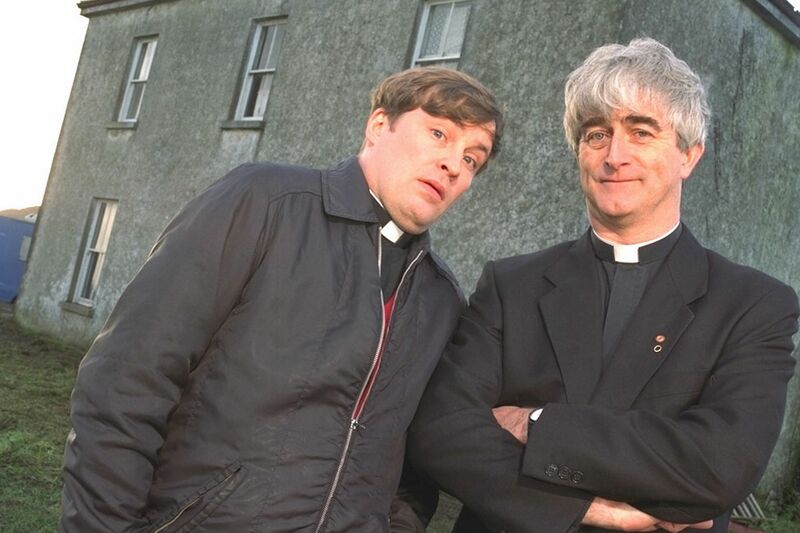 The list released by the popular Internet Movie Database tallied up users’ all-time ratings for TV shows over the last 25 years, and it ranked Father Ted as the greatest show of 1995. Ted had an average rating of 8.7 based on 23,000 votes over the years – and since it was the highest rated for the year that it was initially released, this means that it made the cut. Clinching 2014′s top spot was True Detective – with an average rating of 9.2 from from over 280,000 votes. It’s a proud day for Craggy Island. Now, this is an award Todd Unctious can’t steal. Email “Father Ted has been voted one of the best TV shows around the world”. Feedback on “Father Ted has been voted one of the best TV shows around the world”.